Photo courtesy TT Met Service Facebook page. With Tropical Storm Bret still fresh in the nation’s collective memory, both the Ministry of Rural Development and Local Government and the Office of Disaster Preparedness and Management (ODPM) together with the TT Meteorological Service (TTMS) continue to monitor Tropical Storm Kirk which formed in the Atlantic on Saturday. In a media statement yesterday, the Ministry stated the disaster management units (DMU) of the 14 municipal corporations are also closely monitoring the “development and path” of the storm as TT currently falls within the storm’s forecast cone. The units are currently updating the inventory of response equipment and relief items to ensure that an organized and efficient effort can be launched, the ministry stated. Minister Kazim Hosein said while TT may not be affected by this storm, he urged the population to take the necessary steps to safeguard their lives and property. 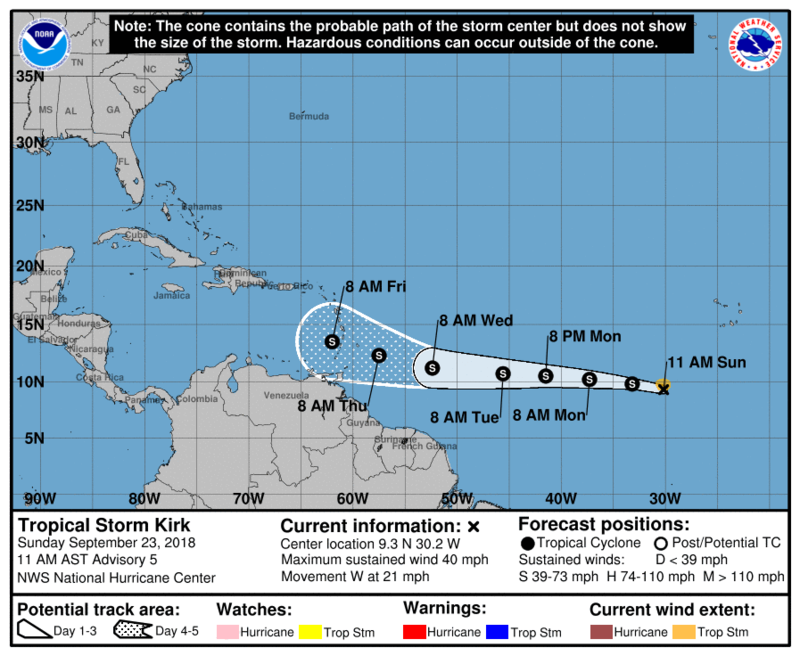 Reply to "Tropical Storm Kirk downgraded"